Regenerates the hair, giving it a healthy feel and lustrous shine. 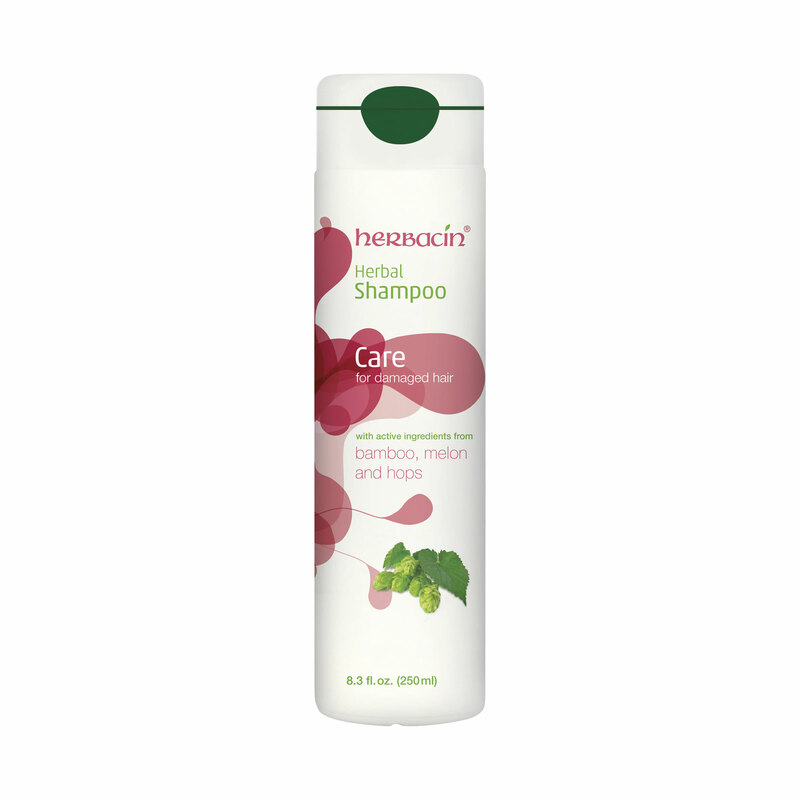 Herbacin Herbal Shampoo Care is for damaged and over-processed hair. Hard on your hair? Excessive coloring, blow-drying, brushing and environmental influences can make hair dry, brittle and prone to split ends. This special-care shampoo with natural extracts from bamboo, melon and hops moisturizes and regenerates your hair, giving it a healthy feel and lustrous shine.